Play on one of the largest courses in the Midwest! New! North Bluff Disc Golf Course, 900 North Bluff Drive, Gladstone. Designed by world champion Eric McCabe (2010), this course is destined for exciting tournament action. Located along the bluff it offers spectacular views of Little Bay de Noc. You can be one of the first to play this 27-hole course featuring two concrete tee pads and two baskets per hole for 108 playing variations. It’s designed to be fun for amateurs and championship-level players alike. No fee. John D. Besse Park: 8th Avenue South and 30th Street, Escanaba. 9 holes. 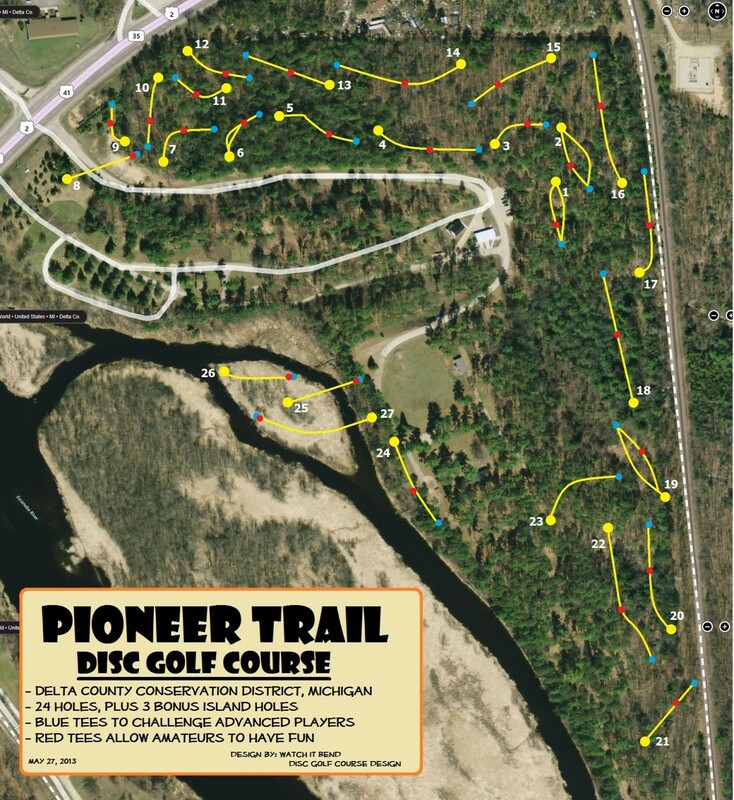 Perfect for beginners to advance-level disc golfers to fine-tune their putting skills. No fee. Ludington Park, Lakeshore Drive, Escanaba. Designed by Joe Harris, this scenic, 9-hole course follows the Little Bay de Noc shoreline. Grass tee pads. No fee. Pioneer Trail Park, fronted by US-2, US-41 & M-35, Gladstone. Designed by Tim Kopacz (Watch It Bend). 27 holes with heavily wooded, moderately hilly terrain (includes three holes on the island). Gravel tee pads: red for beginner fun; blue for advanced skills. $3/day.